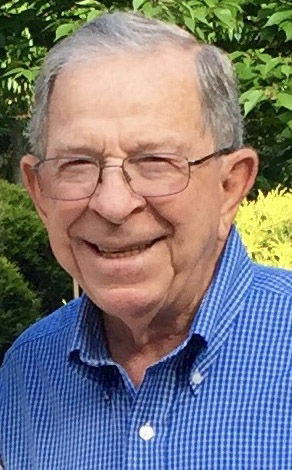 TORCISE SR., STEVE JOSEPH, 85, beloved husband, father, and grandfather, went to be with our Heavenly Father on Monday, February 12, 2018, due to complications from injuries sustained in a burn accident. Born on March 25, 1932, Steve was the last surviving child born to Giuseppe and Domenica Torcise, Sicilian immigrants from Boston, MA. The Torcises were one of the earliest and largest farming families to grow tomatoes in South Dade. After graduating from Homestead High School in 1950, Steve attended the University of Florida until he was drafted into the Army, serving as Head of Motor Pool Operations in Germany from 1954-1956. In June 1957, Steve married the love of his life, Joyce Mae Ott, and together they raised two children, Steve Jr. and Sandra Fuller. After farming for many years, Steve and his brother Sam formed Torcise Bros. Inc and Florida Rock & Sand Co., construction and mining companies, where they worked together for over 35 years. Steve’s sense of community throughout his life made his family incredibly proud. Steve was the nation’s youngest fire chief and served the Florida City Fire Dept. until 1966. He was also Chairman of the Board of Second National Bank of Homestead, Director of Barnett Bank of South Florida, Member of Homestead Vision Council/Economic Development, Chairman of the City Club of Homestead, a member of the Founders Society of the Baptist Health Foundation, and a Patron Member of Ocean Reef Club. In addition to these official functions, Steve chaired numerous breakfast clubs across the country with his close pals. Together, they solved many of the world’s most pressing problems. A devoted family man, he was known as “Poppi”, a name his grandchildren affectionately gave him. Always quick with a warm smile and a mischievous wit, he had a larger than life personality. When Steve entered a room, he did so with a bounce in his step and a jingle from the change in his right pocket. Steve knew no stranger or tractor he couldn’t fix. He was a modern day Renaissance man who used his “retirement” to become a talented painter, a master wood turner, and an avid collector of antique cars and tractors. He is predeceased by his four siblings Mary (Tony), Grace (Frank), Sam, and Joe, and son-in-law, Victor Fuller. In addition to being survived by Joyce, his beloved wife of 60 years, their two children, Stefano Joseph Torcise Jr. and Sandra Torcise Fuller, he is also survived by his daughter-in-law, Karen Torcise, grandchildren Gabriella Kristine Torcise, Stefano Joseph Torcise III, Domenica Leigh Fuller, and Olivia Maye Fuller, sister-in-law, Adell Torcise (Sam), sister-in-law, Dee Torcise (Joe), and numerous nieces and nephews. A celebration of Steve’s life will be held at Caballero Rivero Woodlawn South, 11655 SW 117th Avenue Miami, FL 33186, on Sunday, February 18, 2018 at 1:00 PM with a reception to follow. Posted in Obituaries on Thursday, February 15, 2018 10:13 am.